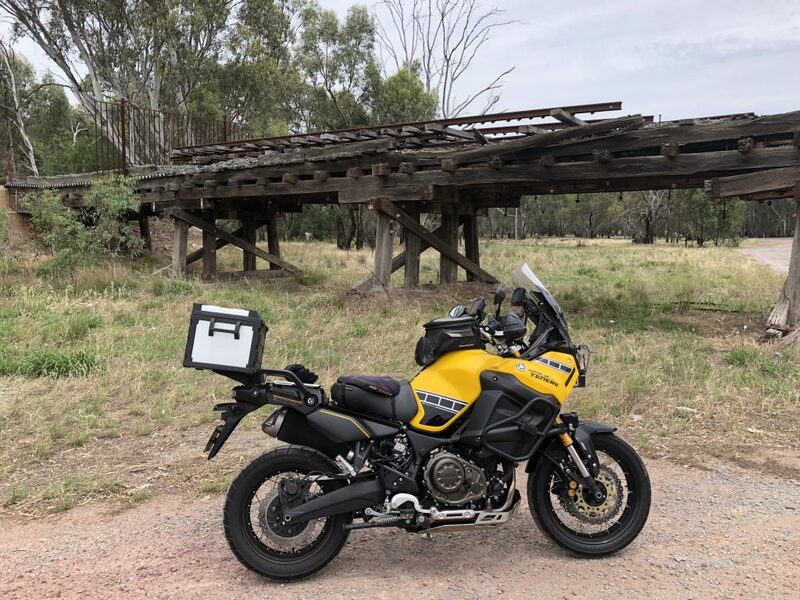 With a predicted local heatwave inconsistent with a need to go riding I took to Weatherzone to see if there were any cooler parts of NSW for today’s SS1600K. Ironically heading south into the area I rode last week in the heat seemed to be the best option. So for something different I decided to ride it in reverse. A different view never hurts. I left Wallsend just before 2.30am, knowing there was some heat in the night through Sydney and there was, 35 degrees at 4am on the M7. Today was certainly going to be a scorcher here. 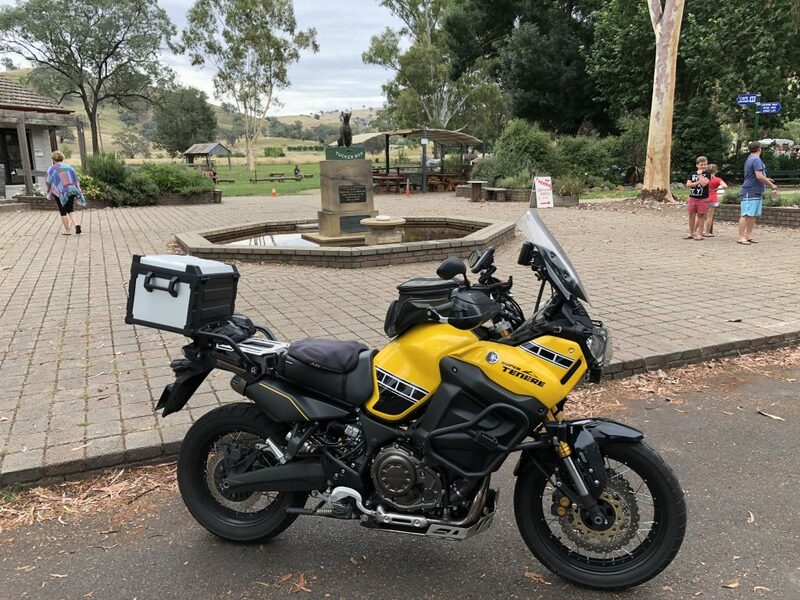 Going over the Southern Highlands and to the first fuel stop in Goulburn I was already in the weather change and it was mid 20’s. Nice! The sun was just up and the clouds were keeping it at bay. The further south I went the cooler it got. There were a few light showers here and there but not enough to bother zipping up the vents in the Klim Badlands Jacket. The water evaporating off the jacket is great in summer to keep you cool. 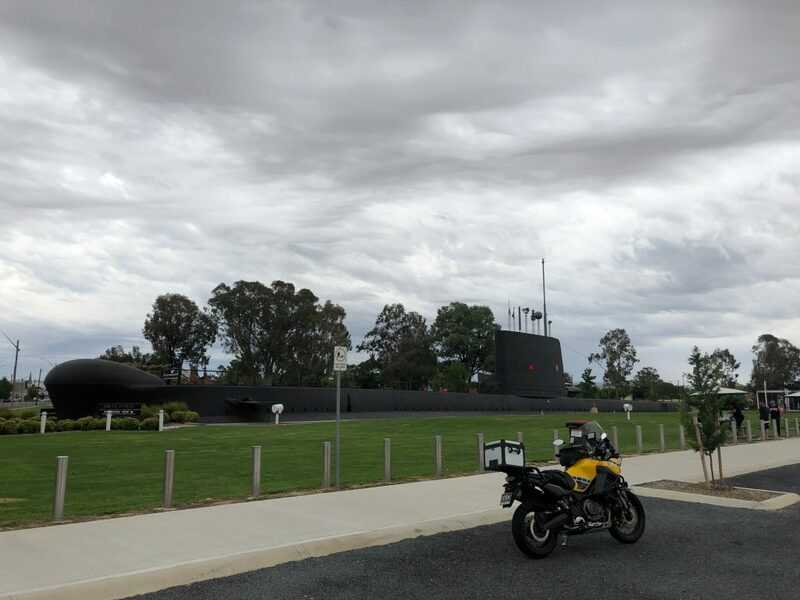 I dropped into Holbrook to visit the submarine in the park (HMAS Otway) and rode on. A loose goal for the day was to ride more efficiently than last week’s ride after a break but I still wanted to grab some pics along the way. 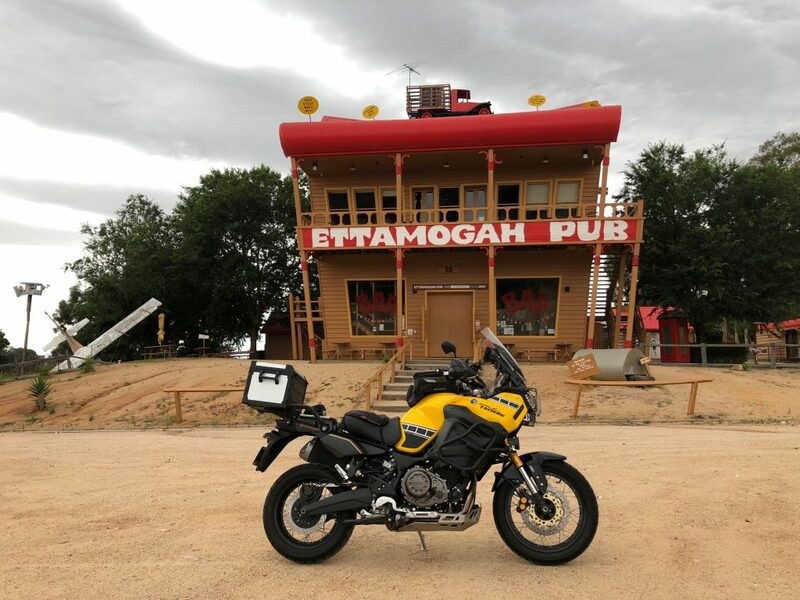 So I took a another small detour at Table Top to grab a pick of the Ettamogah Pub. My second fuel stop was in Albury (700km). 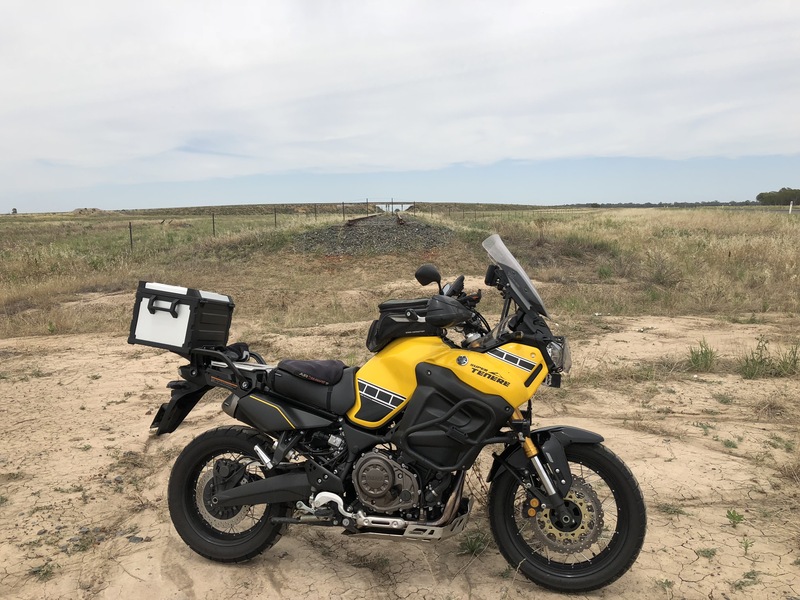 A lack of planning there (essentially there was no plan) saw me waste some time getting access to a servo but with that sorted I was heading for Jerilderie on a different route than last week. I dropped into Oaklands and took a picture of the pub, an establishment my mates and I spent some time in before internet. It’s hardly changed in 30 years. I didn’t go in! 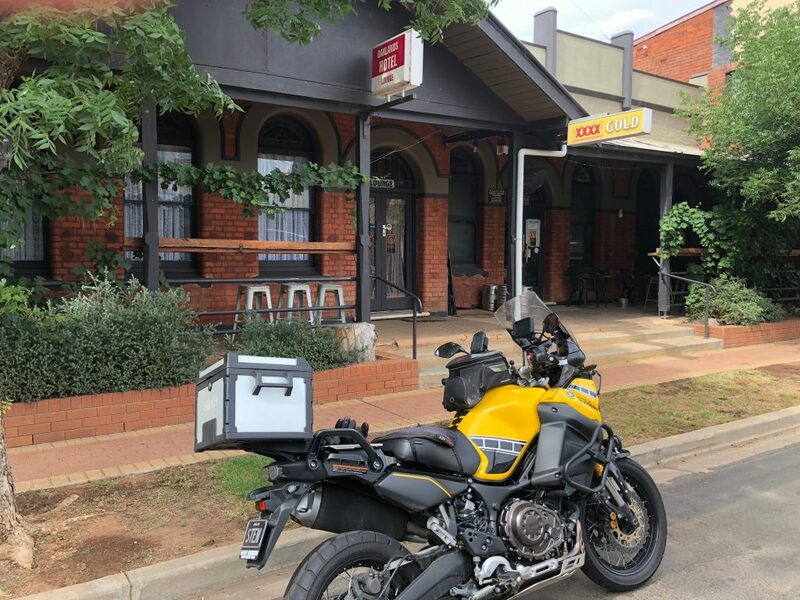 The next stop was the BP in Jerilderie for a corner docket to prove the route. 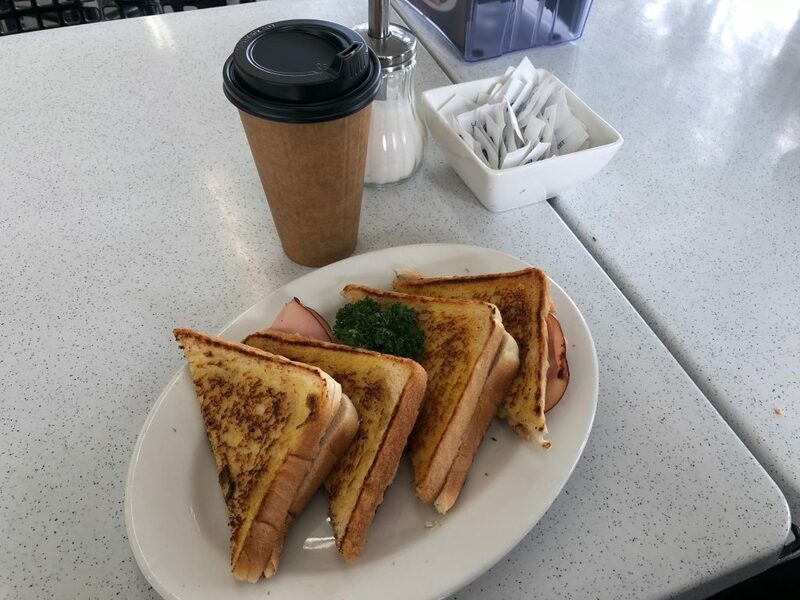 I was looking forward to checking if the ham and cheese toasted sandwiches were really as good as I remembered from last week or whether I was just desperate for food then. They were that good! And a hot choccy on skim to wash them down now that I am caffeine free. I didn’t push the friendship and ask for soy milk. It was a longer break than I would usually take but the moving and overall averages were pretty good at 106 and 96ish respectively when I arrived and I was over half way at around 860km. While eating I saw news reports of the heatwave in Sydney and north of here, I was feeling good about choosing to look for cooler areas. On the way back to Gillenbah I stopped to take a couple of photos it was just too hot and windy to consider last week. The first, a rail bridge in a paddock where the road and the rail go nowhere. The second another rail bridge near the highway. I was wondering if the Government might use NBN Co. to build the new inland rail line and if they would try to reuse this outdated infrastructure and just run track to the node! 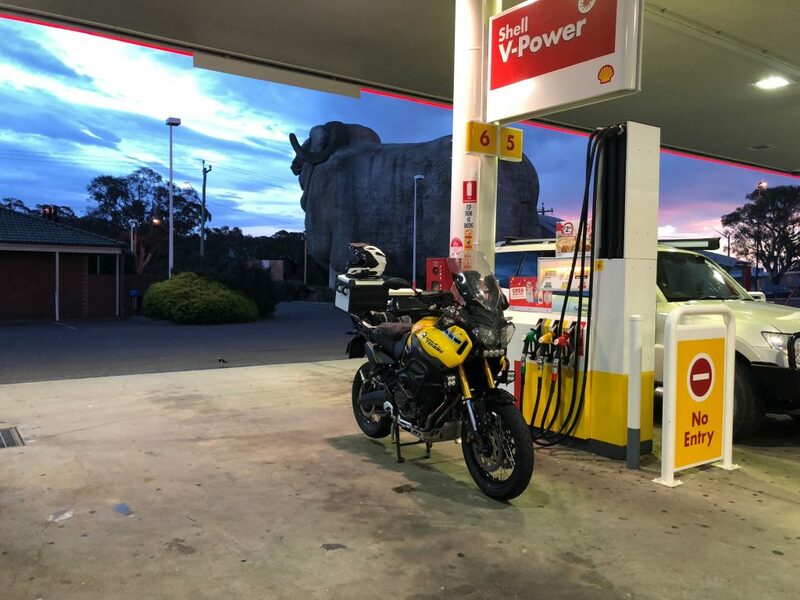 I filled up again at Gillenbah (Narrandera), only one stop to go. It was still mid to low 20’s and despite the longer lunch stop the averages were still looking good and I was feeling great. Only 700 or so k’s to go. I couldn’t resist another pic at the Dog on the Tuckerbox! Heading towards Yass it started to rain hard enough for me to zip up and put the rain cover on the tank bag. It would have been helpful to have checked I had the rain cover… novice error! So the tank bag was squeezed into the top box. Mt last fuel stop was at Goulburn, it was 21 degrees and wet. I left there with 1:19 of stopped time for the ride, an OA of 95.4 and an MA of 105. Much better than last week’s ride and good enough for a non time critical bimble. North of Goulburn the temperature worked it’s way up to 30 then dropped suddenly to the mid 20’s on the M7. There were thunderstorms about. When I hit the M7 the MA was 106 the OA 95.9 and I carried that through to Pennant Hills Road and found gridlock. 6 minutes stopped at lights and traffic speed between 1 and 40kph most of the way to the M1. The averages fell but at least it was cool! 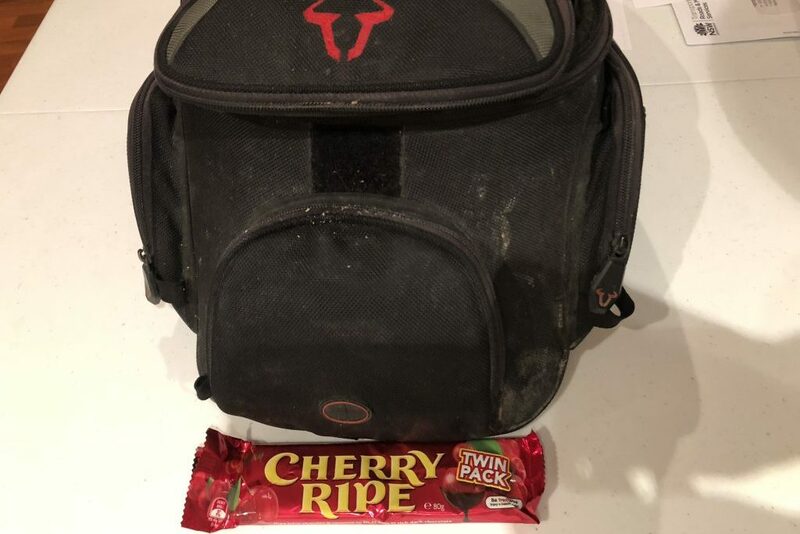 Wet roads and a few showers turned into heavy rain, lightning and thunder around Wyong for 30k’s or so but soon enough and without incident I was back at Wallsend getting a finish docket and the appropriate IBA Ride finish treat.. Cherry Ripe… yum! So all up a fun and easy ride. My search for cooler weather worked and my second ride back from a break shows my ride fitness heading in the right direction in terms of focus and efficiency. I might have to try something a bit more challenging next time!